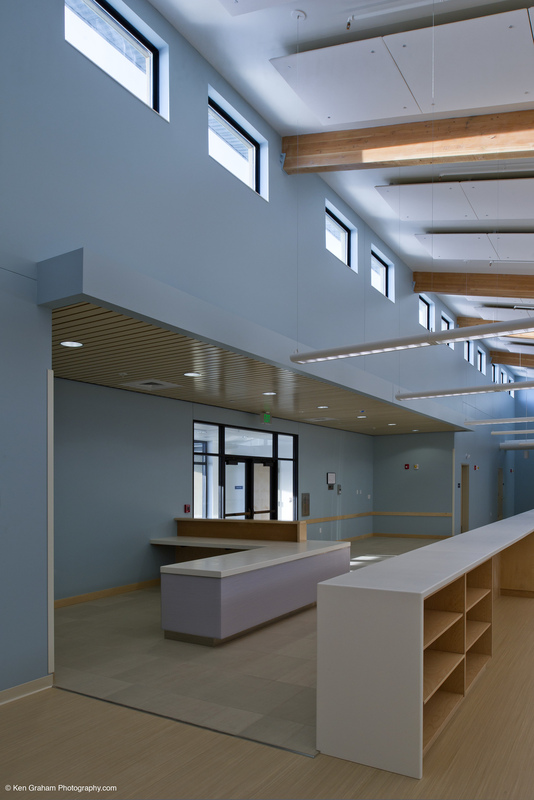 KPB Architects teamed with PCL Construction to design and build the Warrior in Transition (WIT) complex, at Fort Wainwright near Fairbanks. The WIT program provides job training, counseling and temporary housing for soldiers returning to the United States from war. The Army provides this program to support and honor these soldiers for their service. 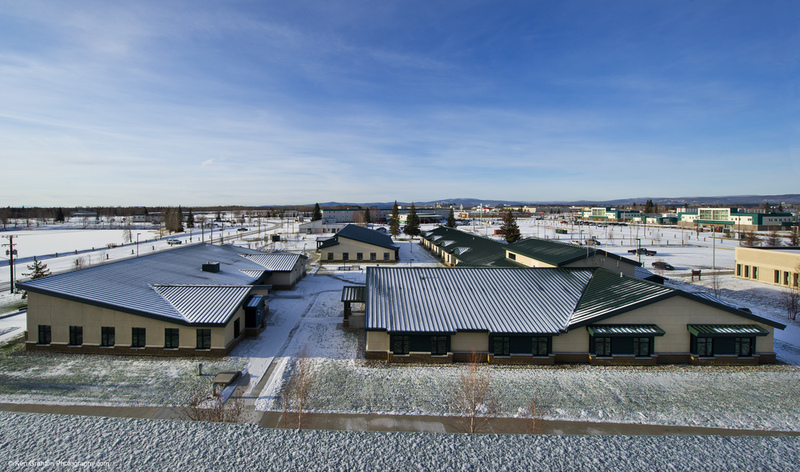 The three buildings that make up the complex include an 8,300 GSF Company Headquarters (CoHQ), a Soldier and Family Assistance Center (SFAC) at 6,646 GSF, and a Barracks building with 32 beds at 19,280 GSF. Designed to function as an administrative and operations facility, the CoHQ has fifteen private offices, open office space, lobby/reception area, conference room, break room and other building support areas. 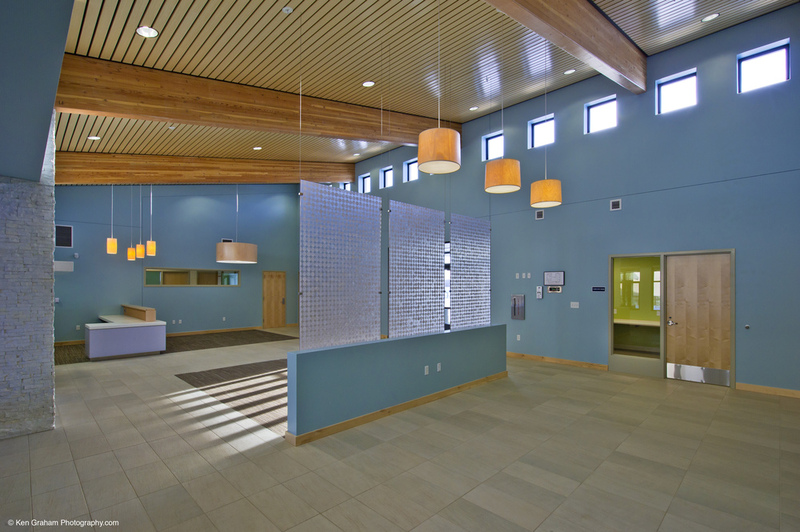 The SFAC, in addition to its use as a counseling center for individuals, groups and families, features a gathering space in a large, relaxing, living room style area with a central fireplace for leisure activity and enjoyment. 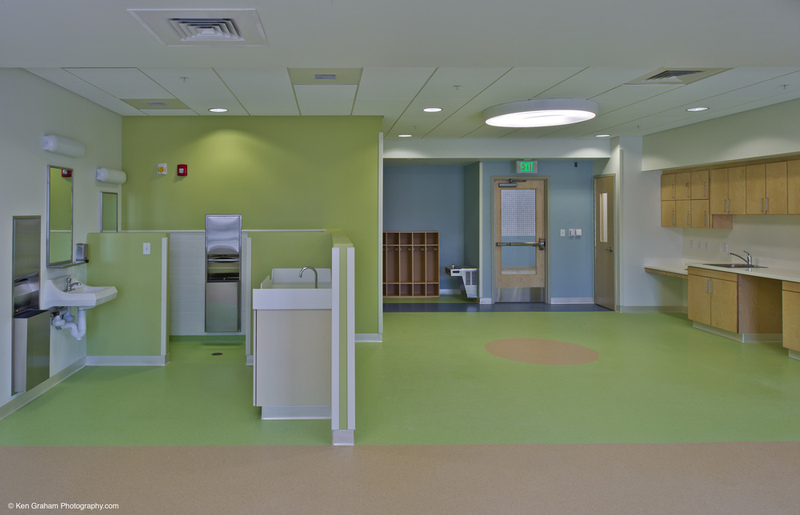 The SFAC also has a child activity space that is designed for children from infants to grade school, complete with play structure and swings. 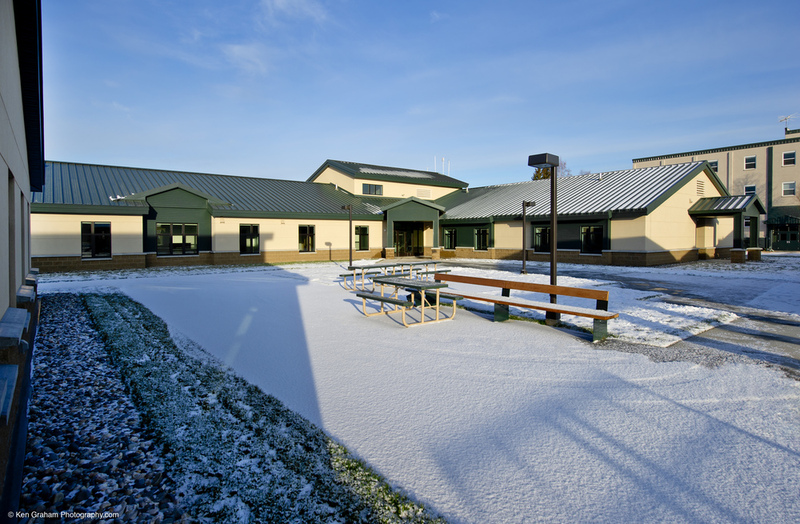 The Barracks consists of sixteen apartments; all are ADA and UFAS compliant, eight are 2-bedroom, 2-bath units, and eight 2-bedroom units. 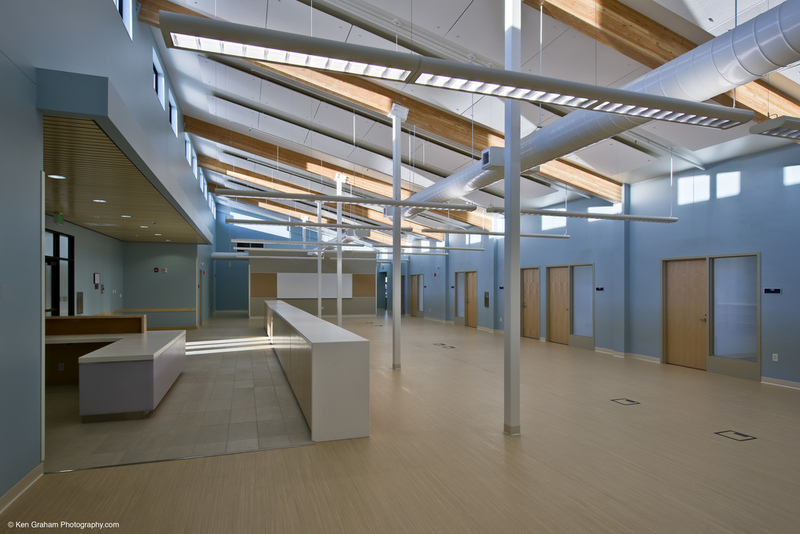 All three buildings are single-level facilities with multiple entry points to minimize travel between them. The site plan is designed around a large open courtyard central to all three facilities, which will include outdoor leisure spaces for summer gatherings. 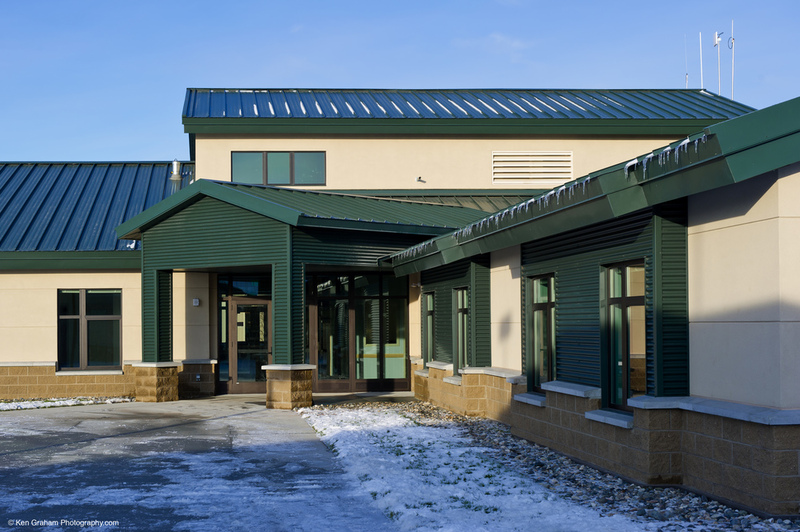 Structural Insulated Panel (SIP) wall system; built on a previously developed site; installed high performance mechanical heating systems; reduced water usage; and maximized open space on site.